A good work-life balance – not a “worn-out” topic! More than ever employers have to deal with this issue in order to remain attractive, and the more flexible the working hours, the better. There are all kinds of possible plans, but the most popular are flextime, function time, trust-based working time, annual working time, home office and a few more. But which working time model suits which company? How can company concerns best be coordinated with employee concerns? Which legal requirements and details must the employer pay attention to? In principle, most options (flextime, functional time, annual working time) require the introduction of a working time account, which can also be managed in different ways. Our series of articles gives an overview. The advantages for the employee are obvious, but experience has shown that employers from different sectors can also benefit from flexible working arrangements. On the one hand, the attractiveness of the employer increases significantly, on the other hand, workers can be called in when the job situation demands it. At the same time, a compensatory leave can also be granted if less work is required. 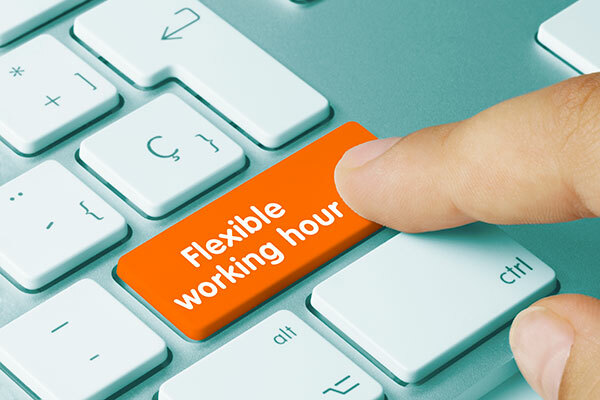 In practice it has also been shown that flexible working hours regularly lead to lower absenteeism among employees and also reduce fluctuation in the company. For example, employees are able to schedule shorter private appointments more effectively in their day-to-day work without absenteeism. The introduction of a working time account should be recorded in writing and (within the framework of the various possible plans with regard to precedence of collective agreements) agreed either as a company agreement or by an amendment to the employment contract or, in the case of new employees, directly in the employment contract. If the working time account is not in form of a company agreement, the written consent of the respective employee is mandatory (for evidence purposes). For example, it is not permitted to offset working hours against minus hours or to debit the time account with minus hours without such a written agreement (Federal Labour Court March 21st, 2012 – 5 AZR 676/11). Minor deviation from contractual working time. The employee may continue to schedule his working time on his own (the extent of minus and plus hours that an employee can accumulate here is determined by the employer himself – usually between -10 and +20 hours). Significant accumulation of minus or plus hours, that cannot be easily compensated. The supervisor must initiate specific measures to prevent further minus or plus hours (depending on whether it is a short-term or long-term account, the yellow area is reached at more than – 10 to – 20 and more than + 20 to + 40 hours). Reducing the accumulated minus and plus hours in daily business becomes difficult due to the significant amount of deviation from the contractual working hours. The supervisor must intervene and order specific measures to return to the green zone. Reaching this zone is only temporary and exceptional. The employee loses the possibility of scheduling his working time on his own responsibility. The employer may also regulate the hours of absence (special leave, illness, seminars, business trips, time account balance, etc. ), the hours of doctor´s visits and the time period of the working time account (short-term or long-term working time account). He must observe the limits of the Working Time Act, in particular the maximum permitted working hours and rest periods. The provisions of the Minimum Wage Act (MiLoG) must also be observed: A working time account may not exceed more than 50% of the contractually agreed working time per month, as otherwise the hours accumulated in excess of this must be paid on the last bank working day of the relevant month (Section 2 (1) no. 2 Minimum Wage Act).